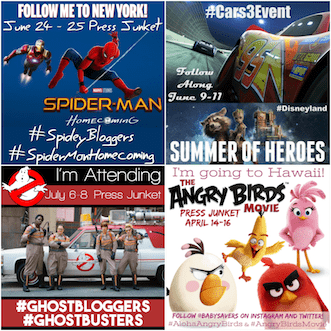 Disney's Pirate Fairy Review and Pirate Fairy Printable Activities! 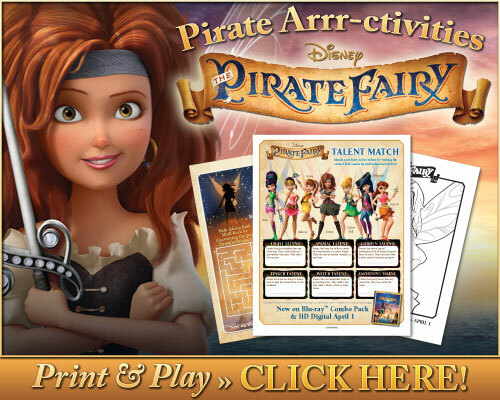 Disney’s Pirate Fairy Review and Pirate Fairy Printable Activities! 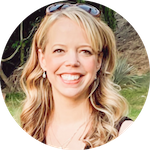 My kids have been so very excited to watch Disney's The Pirate Fairy for months, so I jumped on the opportunity to write this The Pirate Fairy review and watch the movie with them last weekend! From the world of Peter Pan comes The Pirate Fairy, a swashbuckling new adventure about Zarina (voice of Christina Hendricks), a smart and ambitious dust-keeper fairy who’s captivated by Blue Pixie Dust and its endless possibilities. When Zarina’s wild ideas get her into trouble, she flees Pixie Hollow and joins forces with the scheming pirates of Skull Rock, who make her captain of their ship. Tinker Bell (voice of Mae Whitman) and her friends must embark on an epic adventure to find Zarina, and together they go sword-to-sword with the band of pirates led by a cabin boy named James (voice of Tom Hiddleston), who’ll soon be known as Captain Hook himself. With laughter, heart, magic and thrills, The Pirate Fairy sets sail April 1, 2014. 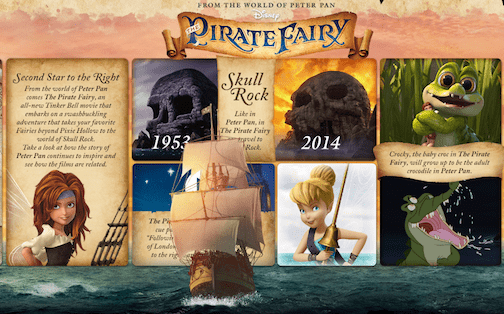 Personally, I love movies that reference and connect the dots with films that I've already seen, and the above is a Pirate Fairy infographic that gives a little background on the movie. Along the same lines, I absolutely adored seeing James in the movie and knowing that he was the future Captain Hook. My kids have seriously found this absolutely fascinating, and they've talked about James/Captain Hook a lot since we watched the movie! 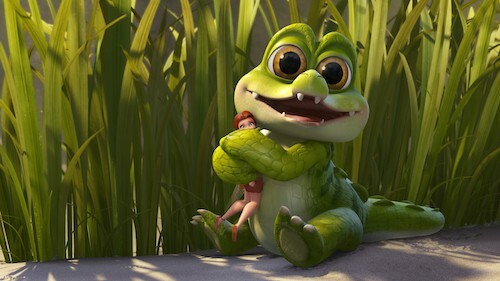 Another thing my kids were so excited about was “Baby Tick-Tock Croc”. They thought he was so funny and cute in Pirate Fairy! Buy it! 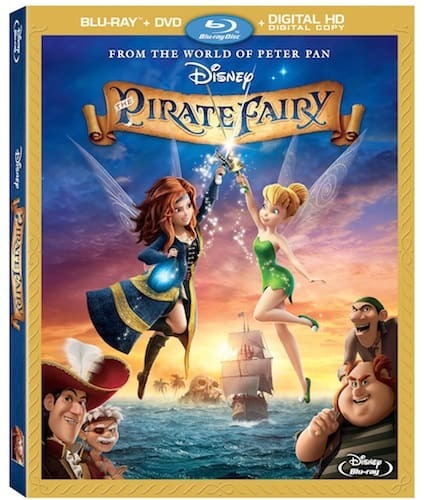 Disney's The Pirate Fairy is available on Blu-Ray and it comes with a DVD and digital copy. The MSRP is $36.99 but it's currently under $20 on Amazon.com! Yyou can also get a the single disc DVD version of Disney's The Pirate Fairy for just $15.96. If you're looking for Disney's Pirate Fairy printable activities, click on the image below and find printable mazes, matching games, coloring sheets and more! Thanks so much, Kimberly! I’m sure you’ll get tons of mileage out of the movie. It’s definitely one my kids and I will watch again and again!